Situm is improving the efficiency of the services of top leading security companies in the world by providing a solution for high-precision positioning, identification and tracking of security personnel and new location-based functions like man-down alerts, panic button and geolocated tasks assignment. Watch more of our technology for security. 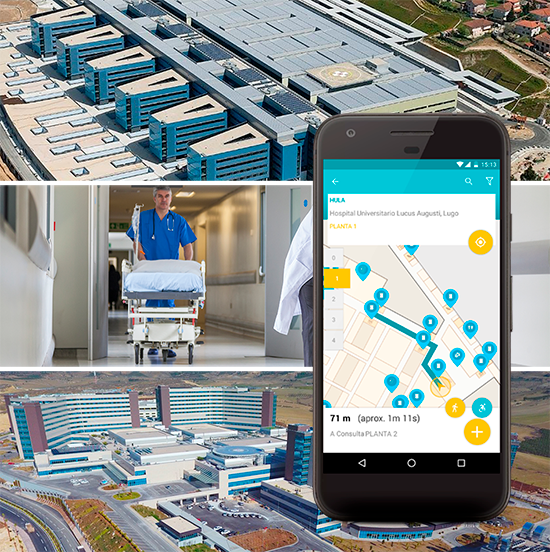 Situm Indoor positioning improves the relationship between the citizens and the healthcare system allowing patients and visitors to navigate inside the hospitals through their smartphones, search for points of interest (medic rooms, waiting areas, stores, public transport stops...) and get guided routes. Situm's technology is working in dozens of private and public hospitals in Spain, Turkey, and Thailand, including some of the largest and complex medical centers in Europe like Álvaro Cunqueiro Hospital in Vigo, Lucus Augusti Hospital in Lugo and Mersin Healthcare Campus. Watch more of our technology for healthcare. Situm's technology can be integrated in retailers apps to provide a better service for their customers and to get geostatistics information to increase business intelligence and improve ROI through a disruptive geomarketing approach. 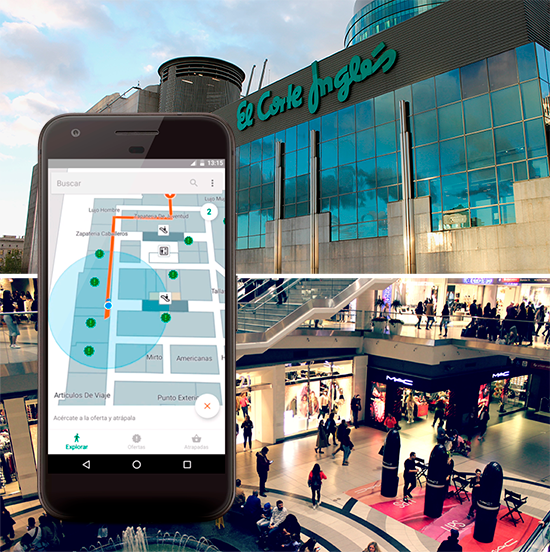 Situm is already providing indoor positioning in a growing number of malls in America, Asia and Europe. Situm Indoor Positioning technology allows to guide users in mass public infrastructures like airports and train/bus stations to the main points of interest (check-in, security control, gates...), including all the services hosted in the building (toilets, stores, restaurants...). Situm's technology is used in major international airports, improving not only user experience, but also providing valuable information that can help managers to track relevant services like the PRM staff (helping this way to locate passengers with reduced mobility inside the building) and to increase the profitability of their non-aeronautics activities through a better exploitation of the commercial area. Situm allows private and public organizations with large and complex headquarters to improve their workforce management efficiency and their control of personal presence facilitating day-to-day tasks to their employees and visitors, providing indoor navigation and wayfinding by mapping the workplace and enabling users to locate indoor venues through their smartphones, from meeting rooms to free park spots. The indoor positioning technology of Situm is already working in several corporate headquarters in Asia, Europe and USA. 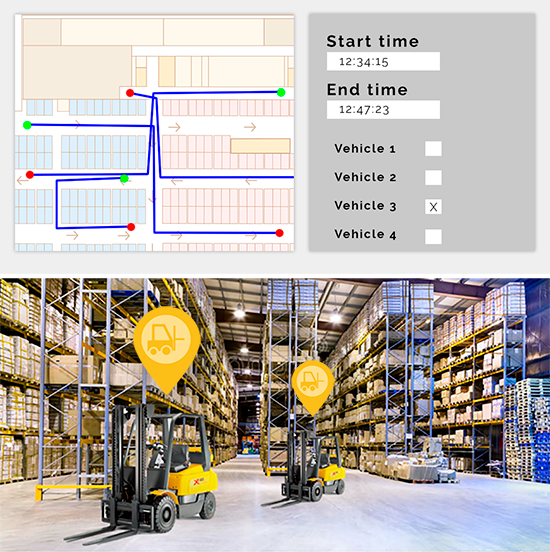 Situm provides real-time data of mobile assets that interacts with other elements (like forklifts, AGVs and other logistic vehicles) inside industrial environments, giving highly valuable information to optimize the logistics process and the use of this vehicles. 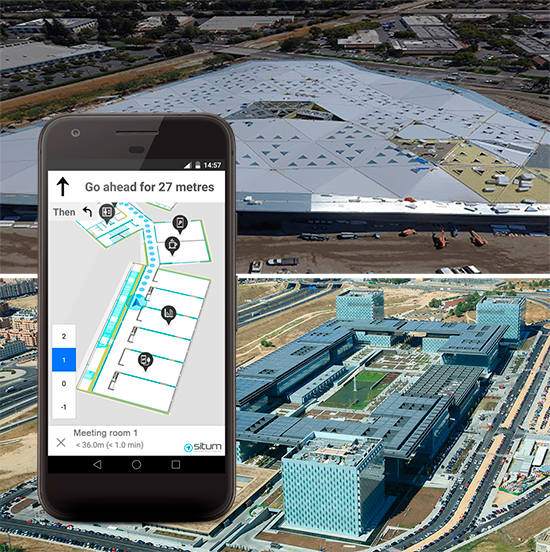 Situm indoor positioning stands out due to its low deployment time, and significantly reduces installation costs due to its capability to work with the existing infrastructure. The versatility of Situm’s indoor positioning technology enables it to be adapted in several applications to solve many logistics issues. The PSA Group has chosen Situm as one of the world’s best startup for Situm Factory Indoor, a solution that adapts its technology to locate other elements apart from people and to do so from dedicated devices. 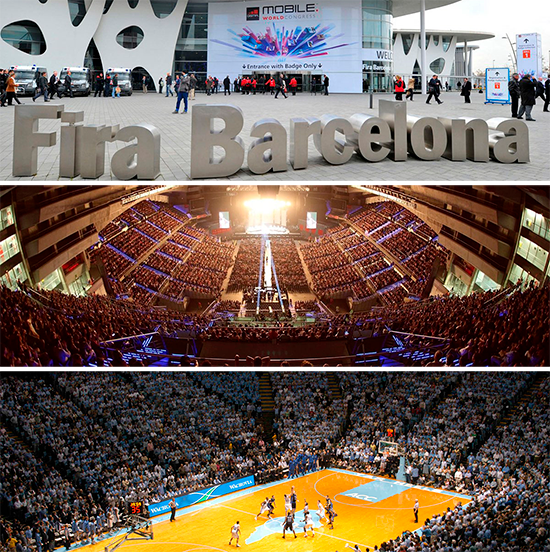 Situm works in large infrastructures that hosts mass events like exhibitions, live shows or sports events (like football and basketball stadiums). Complex venues with high interference of WiFi and bluetooth signals. With Situm's technology, organizers get high valuable information of their events that helps to monetize their spaces, providing at the same time indoor positioning and wayfinding to their visitors. 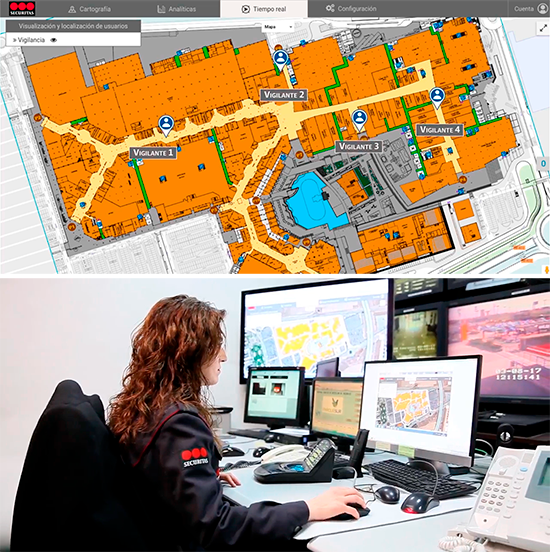 Its technology provide services in the largest exhibitors centers like Fira de Barcelona (one of the most important trade fair institutions in Europe), in this case through Securitas Location solution, "a clear step forward with great added valor" (Constantí Serrallonga, CEO of Fira de Barcelona). Watch more of our technology for events.